There is a lot of talk nowadays about what cloud computing is and its’ pros and cons. However, a lot of people are still not very familiar with what cloud computing is really about. First things first, the concept of cloud computing is nothing new or state of the art, at least, the principle idea of it. Nowadays, cloud computing basically means applications and services that are used over the internet, bought and managed from and by third parties, paid also over the internet. It’s kind of a “rent a service”, pay as you go, the kind of subscription business model if you want. Long story short, any product or service that is available on the internet and it can be accessed via your network/internet connection can be described as a Cloud service. 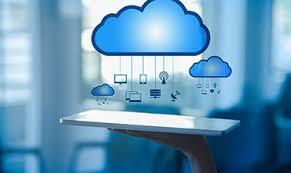 Now, the question is, how Cloud computing can help you and your business. Well, it depends. If you have a small business, it’s more feasible to use a cloud-based storage service (or backup solution). Why may you ask? Well, it’s much cheaper to use a cloud-based storage solution instead of buying servers with lots of Hard Drives (depending on your necessities) and also much safer. Serious Cloud providers are capable of scaling and are using a policy of redundancy when storing data. That means that your private data won’t be lost if the hard drive in your PC fails, for example, because the data is stored on multiple servers in the Cloud. The same story goes for Cloud-based email services and any other Internet-based service by that matter, since with the Cloud computing you don’t need your own infrastructure (i.e. computers), software (that costs money), you don’t need back-up and you can benefit from the knowledge and expertise of your Cloud provider. Cloud computing offers huge flexibility for your business, because your data is available from any location, provided you have an internet connection. In this day and age, the internet is almost ubiquitous. Another nice thing about cloud technology is that’s very user-friendly and it offers you the ability to save your information in an accessible way via the internet, saving you time and money. If you’re already using the very popular cloud applications, you’re actually using cloud technology, even if you didn’t realize it before reading this. Obviously, you don’t have to rush head-first and transfer all your business to the cloud, you should try it out initially, in small doses and if it fits you and your business model, you can go all the way in. For example, you can transfer only one aspect of your business into the cloud and see how it works out for you. If the benefits are obvious and you can live with the idea of trading control (your private data will be stored on remote computers located who knows where) for simplicity and ease of use, this new technology has exciting advantages for your business.